In the past 365 days you have witnessed every move and progress of your lovely child. 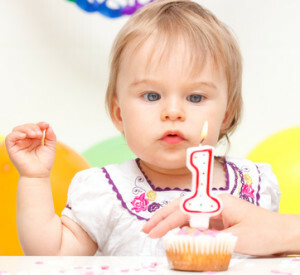 And today is the first of many birthdays to come – a joyful event that you want to make perfect and unforgettable. The first birthday is just a normal day for the toddler, but full-of-stress one for the parents. It takes precise planning and preparation, lots of energy and efforts to plan and conduct this event. Carefully considering every detail and having a back-up plan helps reducing stress and it will keep you in control of the whole situation all the time. Make a precise guest list preferably with VIPs only! Bear in mind that this will keep from overwhelming the toddler and it will cut down extra costs. Decorate to create party atmosphere, but pay special attention if you have latex balloons, breakable toys or other hazards around the party place. Catered or home-made food is up to your choice, as long as you insure there is no possibility of causing allergic reaction. The guests are already here and the party is on at full speed. Do not stress! 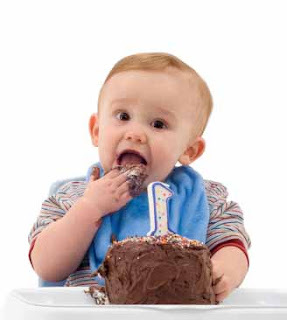 Always remember that this is baby’s very first celebration. Tension does not equal perfection. Relax and enjoy every second. Keep in mind that you can rely on professional help from a babysitter in order to dedicate thoroughly to your hosting duties. Supervise the party but do not forget to enjoy the glorious amount of happiness and love that fills the air. All the presents have been unwrapped, the candles blown, the cake eaten and now comes the time to wipe away the remains of this celebration and leave the house neat and tidy. After this long day you probably are emotionally exhausted and overwhelmed to deal with cleaning. The easiest way is to have professionals do it for you. The hardest – to do it alone. The result of both decisions will be the same. Yet the memories you have, the pictures you have made, the smile on your grown up child’s face are priceless.